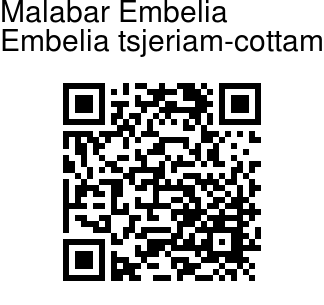 Malabar Embelia is a shrub found in peninsular India, particularly on the Malabar region. 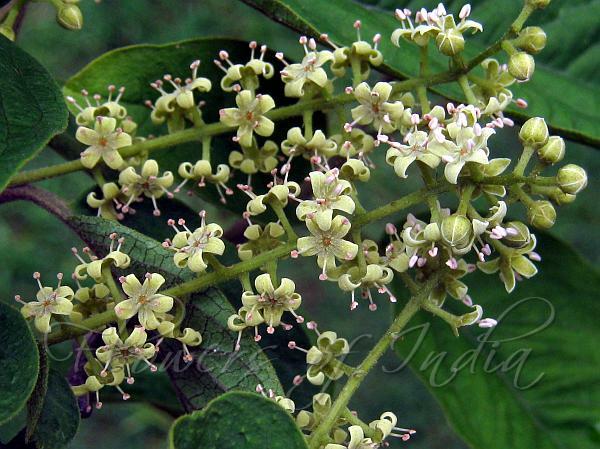 It is also found in the Himalayas, from Kashmir to Sikkim, at altitudes of 400-1600 m. Leaves are generally at the end of branches, ovate, pointed, with entire margins. Flowers are borne in lateral racemes, which are 3 times shorter than the leaves. Flowers are very small, greenish yellow, with petals expanded, pointed. Berries are round, red when ripe, sweet tasting. The plant flowers in summer. Medicinal uses: Seed is used as a vermifuge, the bark of the root in toothache and decoction of leaves as a gargle in sore-throat and in making a soothing ointment. Identification credit: Shrikant Ingalhalikar, Krishan Lal Photographed in Sirmaur District, Himachal Pradesh & near Murbad, Maharashtra.